Some weeks ago, I bought some pots of Baba au Rhum from the brand Bonne Maman. They wrote their recipe on the back of the pack so I decided to try it as I really liked their baba! I followed the recipe but the quantites were weird so at the end I had two big babas au rhum to eat. I could have invited 15 persons to eat them! Below is the recipe with modified quantities which I think make more sense. Beat together 500ml water, 50g honey, 2 whole eggs and 3 whites. Add 125g sugar and 1 pinch of salt. Fold in 250g plain flour and 2 tablespoons baking powder and mix together well. Pour the mixture into a large baking dish until it comes half-way up the sides. Leave to settle for 20 minutes at room temperature, then bake for 15 minutes at 180°C. Heat together 500ml water with 200g caster sugar. Add 100ml good quality brown rum, then leave to cool. Pour this onto the warm baba. Beat together 1 whole egg, 1 egg yolk and 60g caster sugar until frothy. Bring 500ml double cream to the boil. Away from the heat, put a split vanilla pod into the cream and allow it to infuse for half an hour. Gently pour the cream into the egg mixture, stirring continually. Transfer the cream and egg mixture into a pan and cook gently, without boiling, until it thickens enough to coat the back of a wooden spoon. remove from the heat and leave to chill overnight. 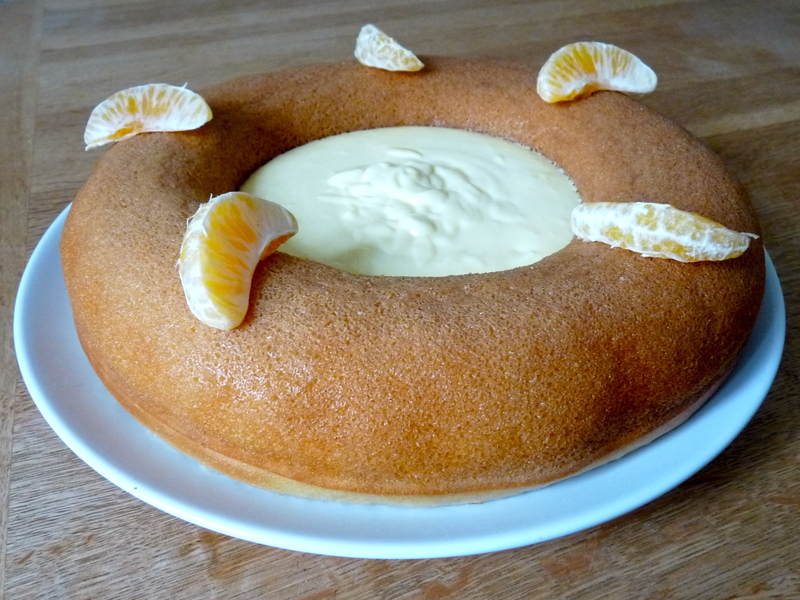 To serve, spoon the prepared cream onto the rum-soaked cake.